A solid American walnut kitchen spoon: a classic and versatile kitchen tool. Each spoon has variations in the natural wood, giving character and distinction to a basic item. 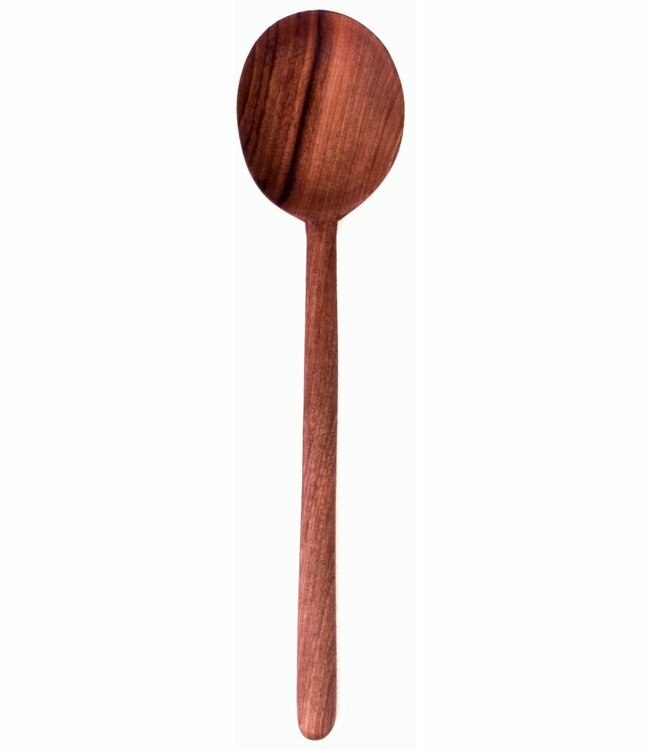 This is a solid American walnut kitchen spoon: a classic and versatile kitchen tool. Dimensions: Approximately 13" long, spoon end is 3" wide. Due to the natural state of the wood, each spoon will vary slightly in appearance and color.